French bean (Phaseolus vulgaris L.) is the most important horticultural crop in Kenya and accounts for over 60% of all exported vegetables. The main share of production is the small scale farmers who contribute more than 80% of production, and rely mainly on pesticides for pest management. French beans production involves high use of pesticides withm Many farmers reportedly applying up to 11 sprays per season, resulting in residue problems. 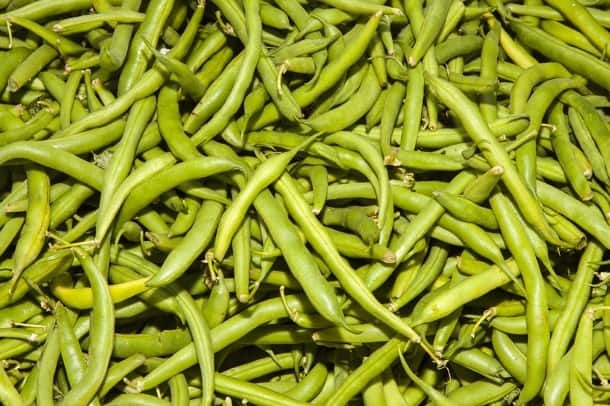 This is partly fuelled by consumers in the developed countries, who form the bulk of the market for the French bean crop from developing countries, demanding for French beans with specific attributes such as size and spotlessness. This therefore, encourages farmers to rely increasingly on the use of pesticides to control pests. But the acceptable tolerance for pesticides residue in French beans is a major concern to the consumers. Among measures put in place in the importing countries are standards that require food products to meet prescribed maximum residue levels (MRLs) and another to reduce exposure of farm workers and other non-target fauna and flora. Emphasis is placed on consumer safety by use of approved less toxic pesticides and strict observance of the pre-harvest intervals which prescribes the latest date for pesticides use for ensuring safe residue levels. In Kenya, there is growing evidence to show that alternative approaches and products are effective at managing pests without the side-effects associated with reliance on pesticides. Many farmers are successfully implementing Integrated Pest Management (IPM) on many different types of crops. Dudutech has experience and proven track record in developing alternates to pesticides and in training and information on Good Agri-Practices (GAP) aimed at of giving farmers the skills, knowledge and confidence to make ecologically, socially and economically sound decisions on crop health. The alternatives such as traps, pheromones, and biocontrol products that play a role in IPM strategies are widely available. There is a wide range of Biological Control products (BCPs), that Dudutech is currently licensed to manufacture and distribute. The main products for French beans-IPM solutions are (Lecatech® (Lecanicilium lecani) for the control of whiteflies, thrips and aphids; Beauvitech® (Beauveria bassiana) for the control of thrips and whiteflies; Mytech® (Paecilomyces lilacanus) for the control of plant parasitic nematodes; Nematech H® (Heterorhabditis bacteriophora) for the control of cutworms, caterpillars and leafminer and Trichotech® (Trichoderma spp.) for the control of Fusarium, Pythium, Sclerotinia and Rhizoctonia). What the industry desperately needs is an integrated approach to pest management. We need products which will replace pesticides. This ensures French beans do not exceed set MRLs. This approach has been adopted mainly by large scale producers who constitute over 20% of French beans production, while increasing farm income. Declaring IPM as the crop protection approach of choice is the way to go.